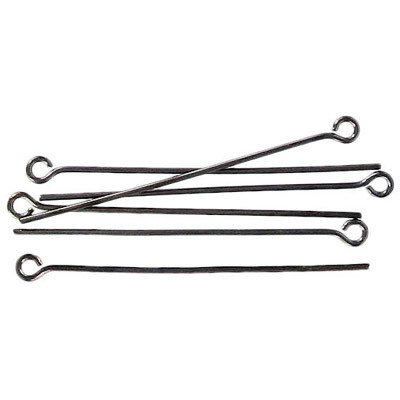 Eye pin, 38mm (1.5 inch), 0.7mm wire thickness, 21 gauge, black nickel plate (pack of 500 pieces). Frabels Inc. Eye pin, 38mm (1.5 inch), 0.7mm wire thickness, 21 gauge, black nickel plate (pack of 500 pieces). (SKU# EYT38MM/BN). Sold individually.